Commercial Photographers: Hands Studios and G.A. Snider (If it's photographic, we do it! ), 2017, vinyl banners, 198 x 279 cm each. "In Commercial Photographers: Hands Studios and G.A.Snider ("If it's photographic, we do it! "), a new body of work by contemporary photo-based artist Andrew Wright, we return to the history of photographic encounters in Ottawa. Wright, an artist consistently informed by conceptualism, regularly returns to the history of photographic technology and how the medium impacts perception. In this work, Wright photographs worn signposts for now defunct photographic businesses across the city giving them new life." --- Carol Payne, in the catalog for "Àdisòkàmagan Nous Connaître un peu nous-mêmes We’ll All Become Stories", OAG 2017/2018. 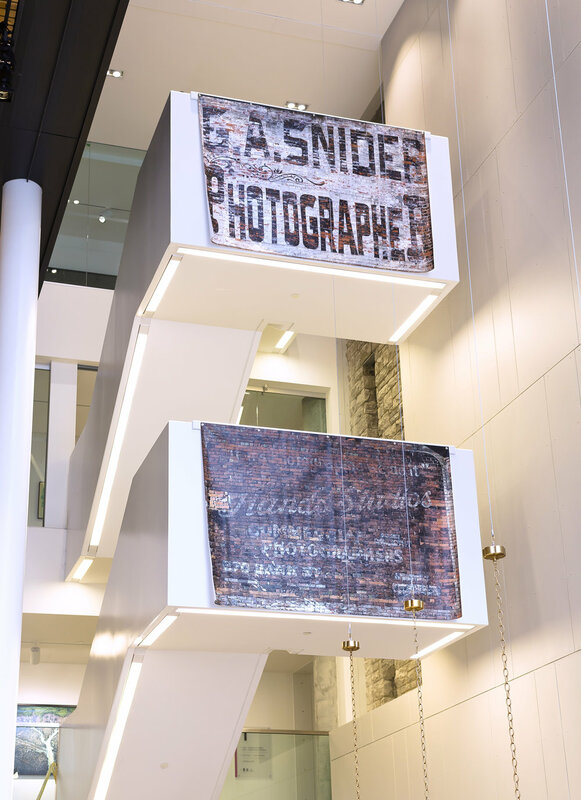 This work presents large-scale vinyl banners whose images record fading remnants of photographic commerce on Bank St. in Ottawa, Canada. Printed at a scale that approaches life-size, these images represent that which is pictured, but also begin to substitute for the same. While photographically 'realistic', we have only words like "Photographer" and the hyper-detailed depiction of otherwise uninteresting brick walls to imagine any number of images made by these photographic studios. 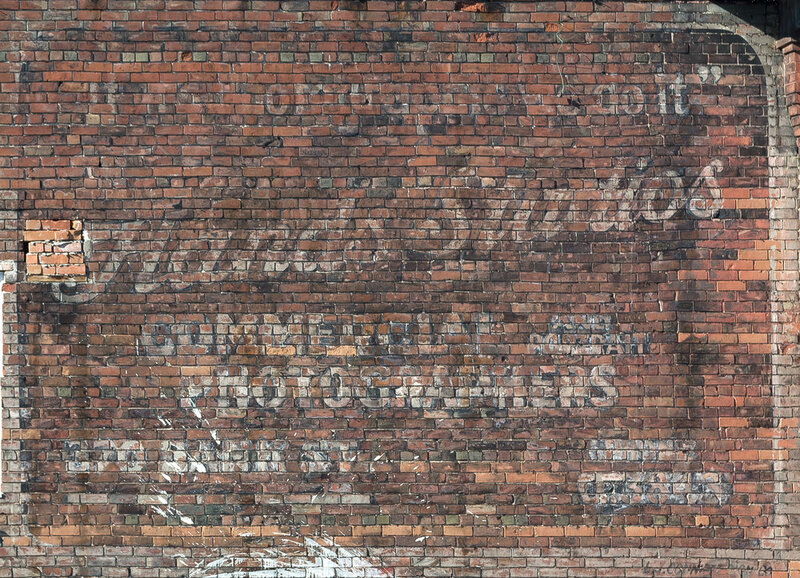 These "Ghost Signs" continue to deteriorate and the photographing of them does little to halt or slow the process. It would seem that while Photography always feverishly heralds its promise to capture more, to remember more, to substitute for more, it is also continually pointing out its own failings. This work was conceived and made for the new Ottawa Art Gallery's inaugural exhibition Àdisòkàmagan Nous Connaître un peu nous-mêmes We’ll All Become Stories that opens April 28th, 2018.